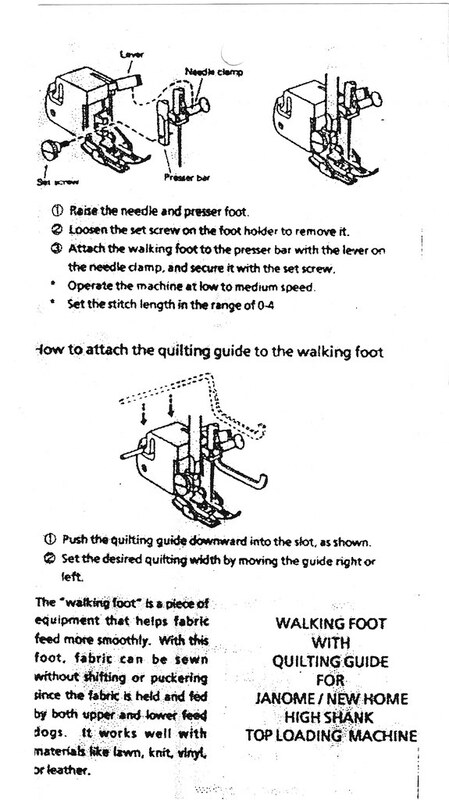 A while back I started playing with my Janome Walking Foot (also known as an Even Feed Foot). 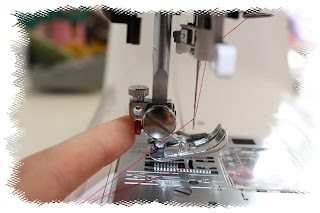 I’m loving this foot and using it for a load of general sewing. 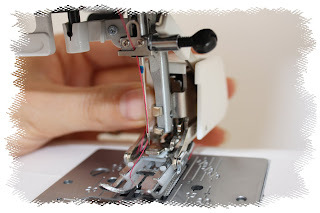 It is more traditionally a quilting foot but awesome for denim, minkee and any multi-layer project. 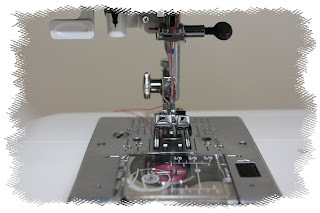 One thing I do remember is that the week I got the foot, I was pretty nervous about attaching it to my new baby – the Janome DC4030 (or otherwise known as the less crazy looking, more pink version of the Threadbanger TB-30 in the U.S). 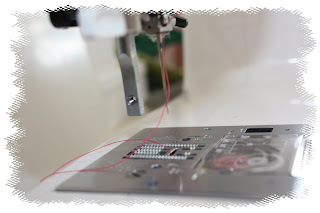 One of the only places I could find info when I was stuck was at Liesl’s blog Hoppo Bumpo – thanks L. I could also find replacement Janome instructions [small poor quality sketches] here. 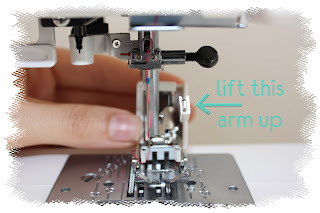 Here goes, I have a little tutorial to share that might help put 2 and 2 together and give some confidence for a properly installed well functioning Walking Foot. Step 1. Take your starting positions! Step 2. Get set…. 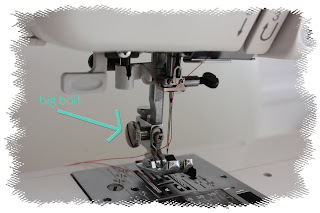 pause a moment to notice this big bolt, a key component in changing from regular presser feet to your Walking Foot. 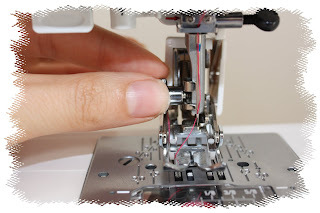 Press the red release button at rear of foot to release and then remove any presser feet currently fitted (this was my ¼” foot w/ flange guide [lovely!]). Step 3. Go! Loosen off the big bolt with supplied flat head screwdriver. I then find it easier to do the last few turns by hand so that the bolt ends up in my hands rather than falling on the table with potential to roll away. You are going to need this in a second, so keep handy. Step 4. This is the result you are after. Naked! Note the little hole as you will need to line this up with your walking foot parts. Step 6. 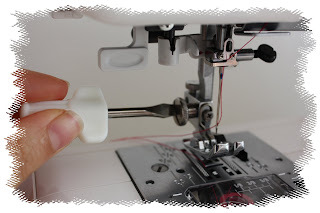 Use the nimble fingers you found in the previous step to place the bolt back into the empty hole, lining up the metal bars either side of the hole/bolt. Then tighten up the last few turns with the screwdriver for a nice firm fit and you are finished. 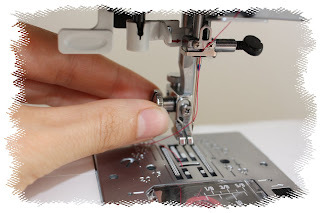 Go make happy stitches!